…but this is the last time we will see this particular snow and all things end and come with a necessary and sometimes unnoticeable grieving. I see the diminishing bits of once high-plowed banks and drifts now made solid, black and cindered with road dirt and it reminds me of being young and finding a Dairy Queen Mister Misty cup in the melting snow of our side yard. 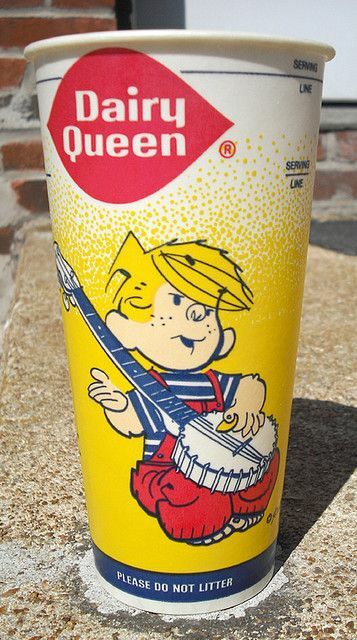 Well, there are no more Mister Misty's or Dennis the Menace themed cups. Arctic Rush is what they are called now and certainly there are no orange-flavored ones -- gone just like grade school and winter snow.